holding shift while drawing would lock the horizontal / vertical coordinate. 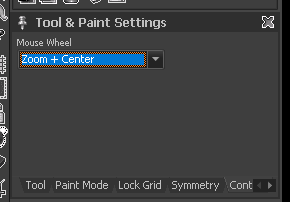 This allowed drawing straight lines on the fly without having to select the line tool. when zooming with the mouse wheel the mouse position was the focus point of the zooming. This was a very convenient way of zooming and panning around by using just the mouse. Are these features still available on NG? Yes, both of these functions are still there and active by default. Can you describe what feels different with NG? Neither is working for me. Holding shift doesn’t lock anymore and zooming is always focused on the center of the screen. I’m running NG v7.1.7 on W10. Yep, I didn’t have the zoom+center option selected. As for the locking while holding shift I’ve had a fresh install of v7.1.8 and it’s working fine now.